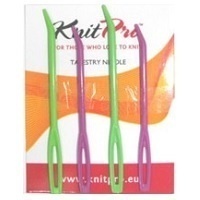 Knit Pro Tapestry Needles Set - Purple/Green. Pack of 4. Plastic.